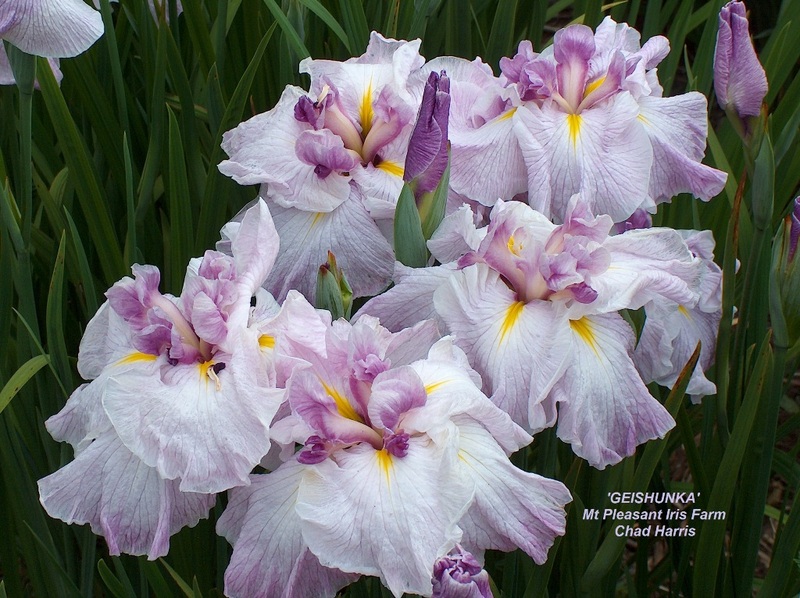 Growing Japanese iris, Iris ensata into magnificent clumps, demands moist acidic soils enriched with compost, and frequent division. 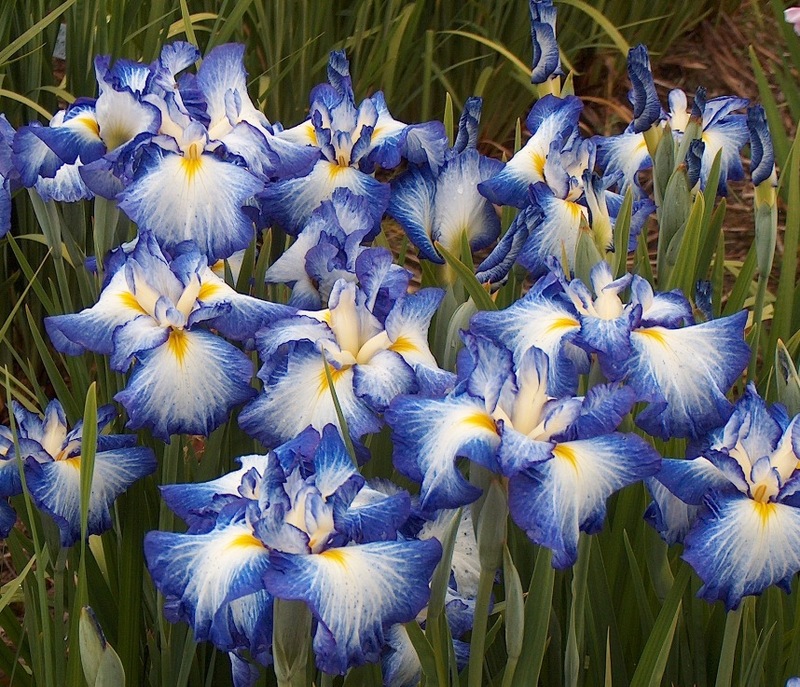 Many of the iris family like to be lifted and divided every few years. 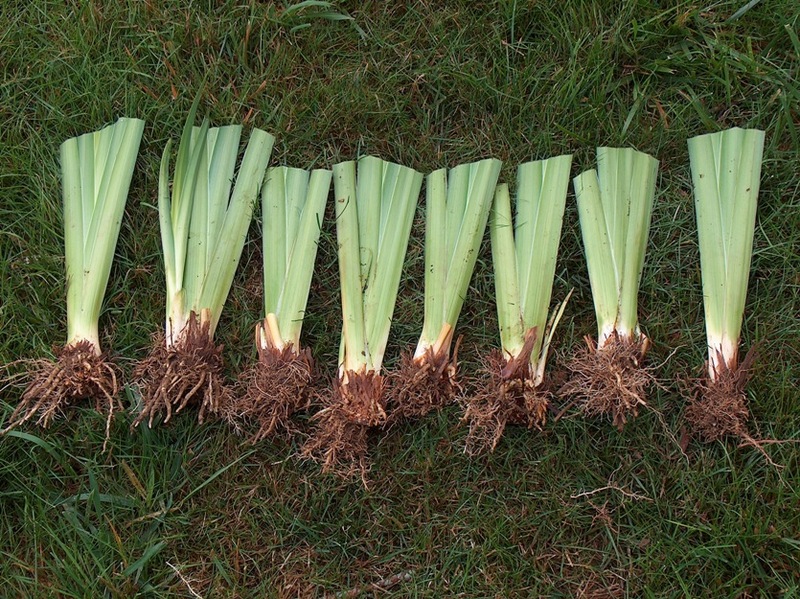 Iris ensata’s growth habit demands to be lifted and divided every three to four years. I personally recommend doing this every two to three years. 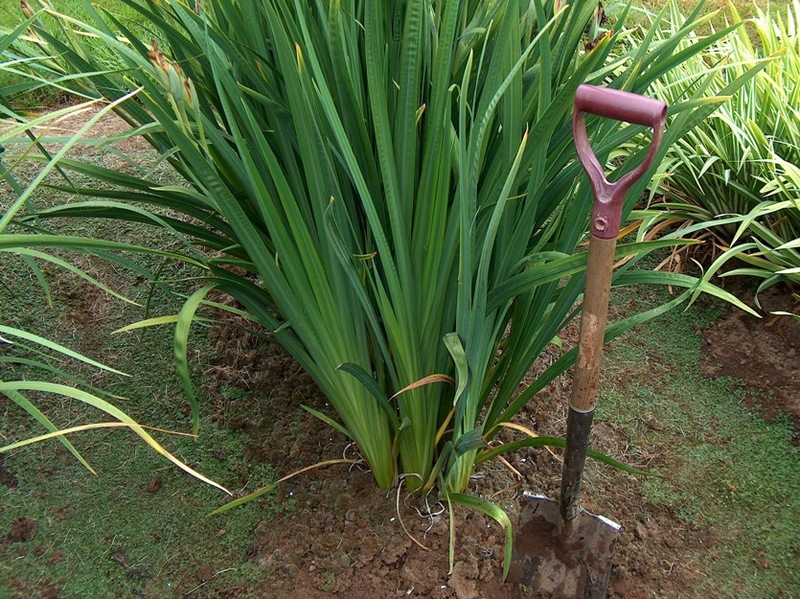 The crown of Iris ensata has a vertical growth habit instead of horizontal, like most other kinds of iris. With each new years growth forming on top of the last, the plant has a tendency to lift its self up and out of the ground, making it very hard to keep moist, of which it demands. It is wise for the gardener to keep in mind: It is better to lift and divide your perennials when they are in their prime and not in decline. As a prime division and transplant will have a better chance surviving the move (transplant shock) and be able to bloom the next year. 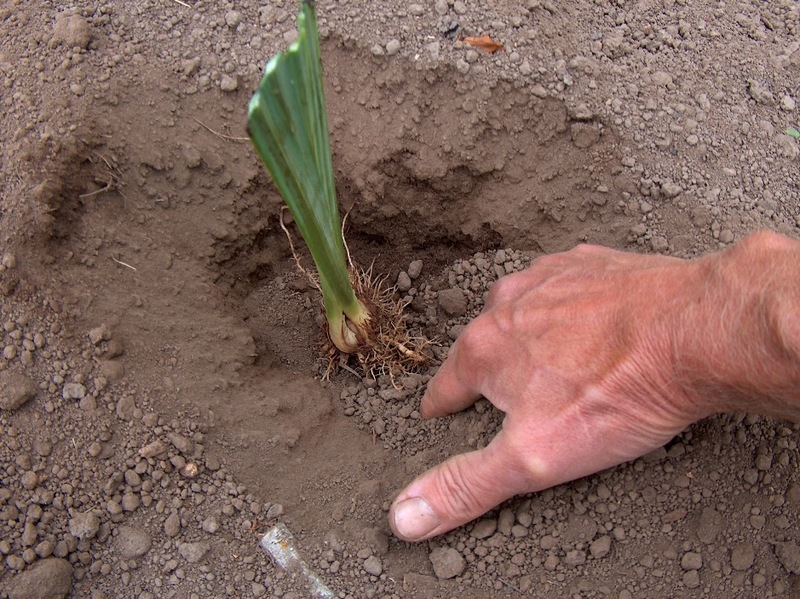 Lift the plant out of the soil with a spade or fork in late summer, two months before your first frost. 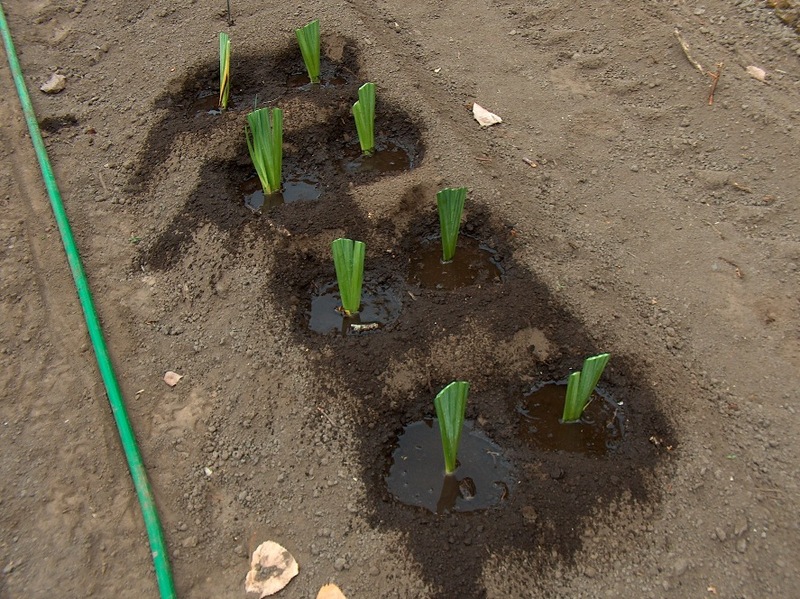 You can wash the soil off or set the plant in a pail of water overnight to soak. 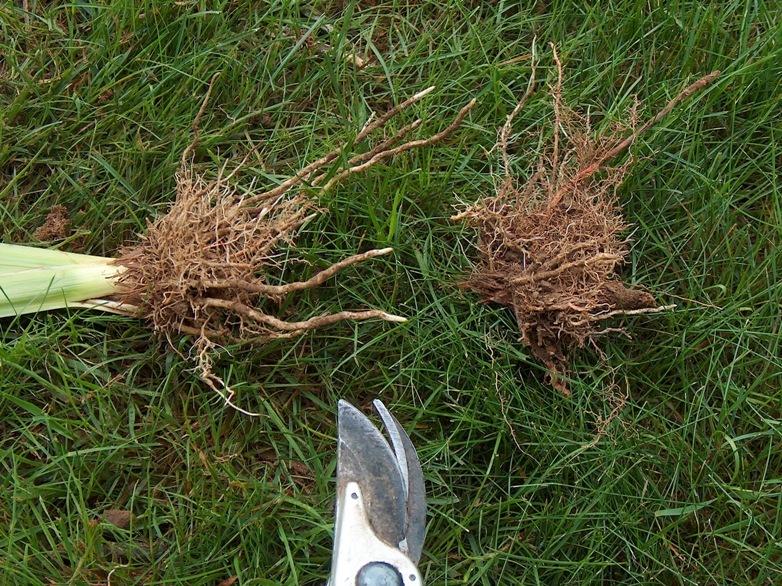 Dividing the individual plants apart can be done by hand or with a sharp serrated knife. The old roots and previous year’s growth need to be removed and thrown away, they will not bloom again. Trim the foliage on the individual starts being kept for planting or given away. 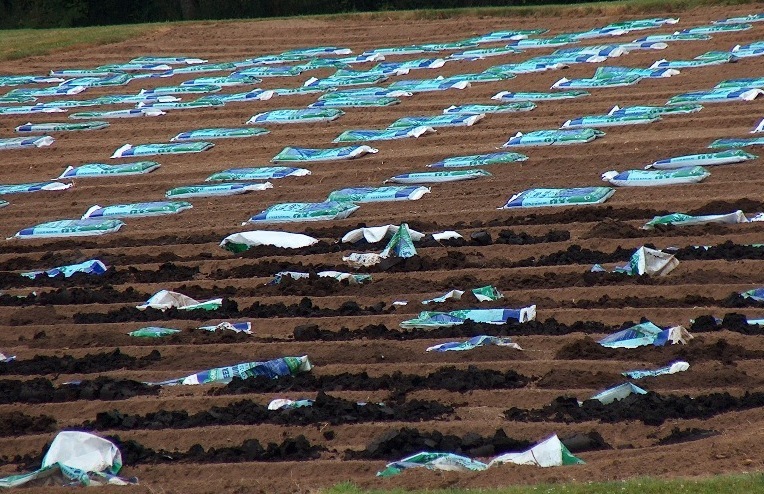 Prep the soil with 20% to 30% compost working it in deeply eight to ten inches. 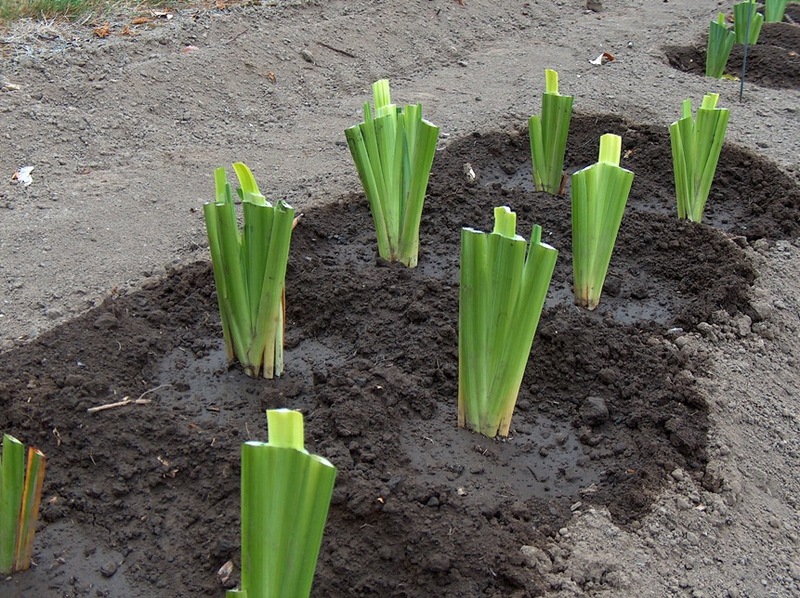 Place the new starts three inches deep, eight inches apart, water in letting the water carry the soil to the roots to bury. 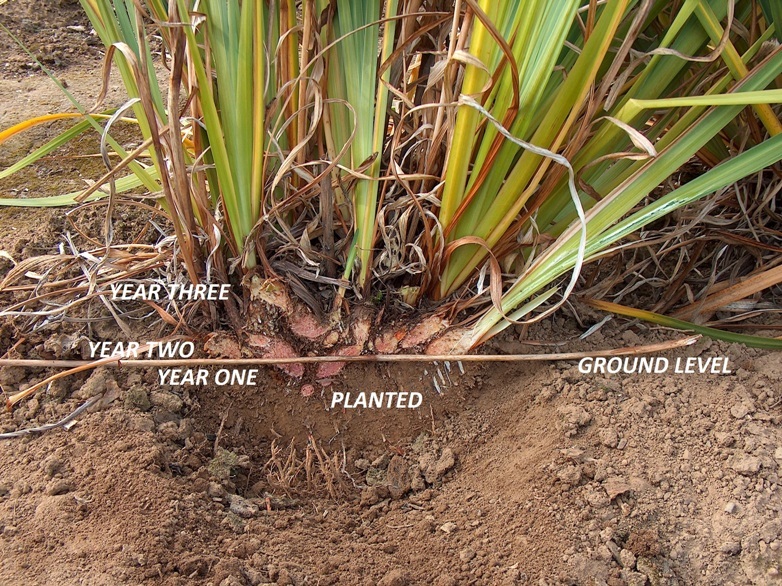 It is critical to flood irrigate and let the water carry the soil into the roots to eliminate any air pockets. 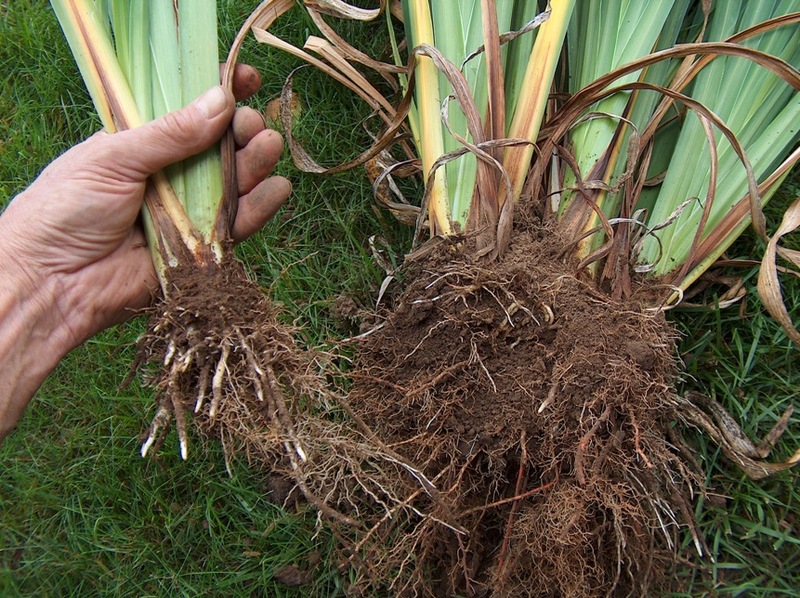 After the water has drained, water again to add another layer of saturated soil in and around the roots and keep moist until winter. At this point the plant should have a slight depression around it to catch and hold water.